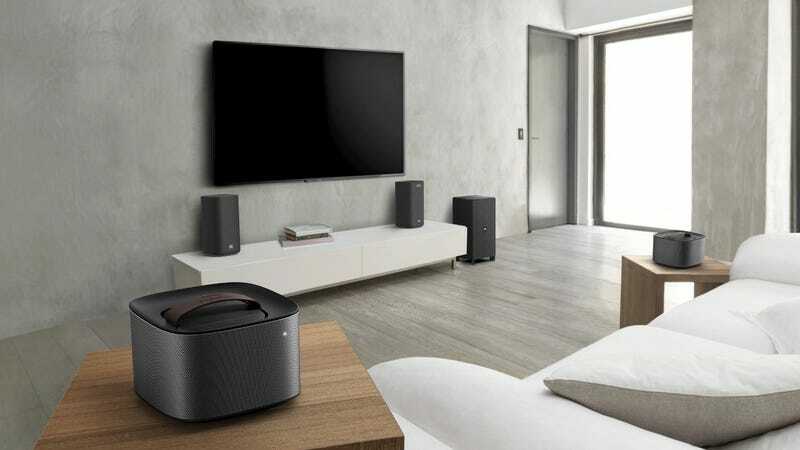 If you’re looking for sweet new speakers to scatter around your patio, rumpus room, or Netflix binge dungeon, Philips’ has new Fidelio E6 wireless cinema speakers and a 90W subwoofer that can do just that. The 5.1-multichannel, HDMI 4K2K detachable units let you go from stereo to surround sound in a jiffy, and they can also stream music from your phone with Google Cast or Spotify Connect, playing music from the cloud. The modular system is even spatially calibrated, which means that no matter how oddly shaped the room is or how haphazardly you stagger the units, the speakers automatically find the best, most natural-sounding audio balance. Philips says that the wireless speakers have a ten-hour battery life. The system appears to be ready for immediate release, but no pricing is available yet.